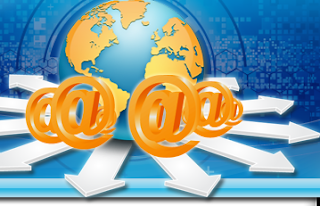 A domain is a name that identifies IP addresses on the internet. The domain name Google.com, Bing.com or Yahoo.com represents different IP addresses. Domain names are used to identify Web pages. For example, in the URL http://www.Ayojide.com/, the domain name is http://www.Ayojide.com. You register a domain name by registering with a domain name services registrar. The domain name industry is regulated and overseen by ICANN, which is an organization responsible for providing standards and procedures for certifying companies as domain name registrars. Domain name registration has grown over the years. Network Solutions was the first domain name registrar to ever provide such a service. That was over ten years ago but today there are many accredited registrars. Only a domain name registrar is permitted to access and modify the master database domains that are on InterNIC servers. The fee is determined by the registrar as far as getting a domain name and some registers have special domain name packages. You use a domain name to create an identity on the World Wide Web and domain names can also be used for branding purposes, such as Wal-Mart, K-Mart, etc. In picking a domain name, the title shouldn’t stray far from what your company is all about. This will allow you to market your web-site as a subsidiary of your business and put your domain name on business cards and advertisements. Once you select a domain name, you must register it with a domain name registrar. This is a task you can do easily. Many ISPs offer a complete package that includes hosting and the registering of the domain name for you. Fees probably will include a one time set-up fee for all of the backend technical work that needs to be accomplished. Then pay your service provider a monthly, semi-annual or annual fee for Web site hosting services. A web hosting service provider sells or for free (with advertisements on the web page) is a business that provides the servers and technologies to view web-sites on the internet. Web hosting services are services that customers can utilize after they have purchased monthly dial up or broadband services that allow them access to the internet. Web hosting services use hosting and client architecture to load content to the server so web pages and information can be viewed on the internet in its original HTML format. A web hosting company will offer clients access to a server that will provide the clients’ content to individuals on the World Wide Web after they make a URL or domain name request. To view pages on the web, you must have a web browser, such as Microsoft Internet Explorer, Firefox, Opera, Safari and many more to request the web page from the server after you have purchased internet access. Web sites are pages that are stored on a computer called a server. The server is a part of a network of computers on the internet or World Wide Web that allows users of the internet to reach your site anywhere in the world at anytime. The internet is open 24 hours, seven days a week around the clock. Host computers are configured so that when your URL or domain name is typed in, the address will use a pointer routine (look for the address from terminal to terminal) until it reaches the computer that hosts your web-site. Then, if all is okay, your web site should display itself on the users screen. Hosting companies require that you buy your URL or domain name first before you purchase hosting services. Most hosting companies have a package that will allow you to buy the domain name and hosting at the same time.